Most of the time, Native people were transparent, until they became at least “civilized” enough to be counted on the census, or taxed or they did something else to bring them into the white man’s realm. More recently, Justin and others like us have been able to confirm, or deny, that heritage via DNA testing. So even if we don’t know exactly who our ancestor is, we are positive THAT our Native heritage is real. In some cases, through DNA testing we can learn which of our ancestral lines is Native. Most of us who grew up knowing we were mixed blood Native learned years ago that if our ancestors’ tribe survived at all, meaning it was not annihilated by warfare or disease, they don’t accept us. We are not one of “them” and there is no welcome home party. We don’t have the blood quantum necessary to be a tribal member, and therefore, to them, we don’t exist either. Not at all, we’re persona non grata. Yep, you’re “Indian” right up until your admixture level crosses over that magic political line, whatever that is in whichever tribe, and then you’re not Indian at all – don’t exist. All of your Indianness just evaporates that day I guess. Apparently, it’s only in our blood, in our genes and in our hearts that we remain Native after that, because the European culture originally tried to kill off the Native people and the “official” Native people today don’t want any more “members” than they already have clamoring to divide a limited size pie. So we don’t exist. For many, being denied and relegated to “wannabe” status by “our own people” is devastating, especially for those who really don’t want any part of the financial pie. Many simply want to belong, to understand the culture and their heritage – to have an educational avenue to recover in some small way that which was stripped and taken from their ancestors so violently. To have this cultural travesty being perpetrated a second time by the very people who mixed blood descendants feel are their cousins, “their own people,” by being rejected, mocked, and turned away as “not good enough, not Indian enough” is an unexpected emotional blow, a very cold slap in the face and the faces of our Native ancestors. After all, the tribal members today are the ones who survived comparatively intact, while the descendants of non-tribal member Indians were the ones often most tragically victimized….the ones where the systematic de-Indianization worked. Logic would suggest that those who survived “as Indians” would welcome the descendants of those who did not and in vindication for what was done to their Indian brethren, would want to share the lost culture with their descendants, to resurrect the Indian in the descendant, and to insure that the cultural heritage continues into posterity. But that’s not how it works, in the real political world. I think of this as we approach Thanksgiving every year. I think of what was taken from our people, my ancestors, and ultimately from me and my children. I think of the sanitized, feel-good stories we were told as we cut and pasted Indians and Pilgrims in grade school as children. I think of the heritage we don’t have, what we don’t know, what is lost forever. I think of how the culture of denial today has played into exactly what those original Europeans wanted – to strip the Indians of their life, often in order to obtain their land, and if they couldn’t kill all of them, then to strip them of their religion, their language and their culture. There is more than one way to kill an Indian. The government had an official plan for how to do just that….and now the official Tribes are helping them complete the act by denying that heritage to their descendants. Soon, in another generation or two, there will be fewer and fewer, and then no official Indians, as they continue to marry outside of the tribes and the blood quantum drops. Ultimately, the government will have won….by the very hands and rules of the Tribes themselves based on their own blood quantum level required for tribal membership, unless, of course, the tribes change their rules. In that lies the ultimate irony. It’s terribly unfortunate that a middle ground can’t be found, where descendants can be “affiliated” with ancestral tribes, not full benefit-receiving members. In that way, they could be educated in the traditional way, regain and celebrate their culture and heritage. I would think it would be politically beneficial to the tribes too, because in sheer terms of numbers, there are a whole lot more of “us” non-tribal member descendants than official tribal members. I would think the tribes would see the benefit in having the large contingent of “us” firmly on their “side” of any political argument, not having been flatly rejected and turned away. There is tremendous power in numbers. Just saying…. I try not to feel righteously indignant, but as Thanksgiving approaches and I see the storybook pictures of the Pilgrims and the Indians, and knowing what happened, and continues to happen, I can’t help but feel some level of sadness, anger and sometimes, outrage, at the way the systematic annihilation of the Indian people has been whitewashed and the way their descendants are treated today. This was what motivated me to begin the Native Heritage Project and the Native Names Project to document the names of the Indian people buried in reams and reams of records. This is in addition to various DNA projects to find and document those elusive Native ancestors. And then, there’s Justin. Poor Justin. Justin has known for some time that he was a Native descendant. He has been searching for that connection, exactly which one of his ancestors was the Native person – not easy to discern in colonial America. So often, Indian heritage was very well hidden due to the various insidious forms of discrimination that were inflicted upon these people and their families well into the 1900s. Justin and I have exchanged e-mails, back and forth, as he has shared finds and I’ve shared information from the Native Names Project. But then, Justin found it…and “it” wasn’t at all what he expected. In addition to being descended from Native people, Justin is also descended from one of the most notorious Indian killers in American history. So what does Justin do with this horrible event that occurred just 16 years after that first celebration of Thanksgiving? I mean, most of us have developed this life-long love affair with our Native ancestors, even if we don’t know who they were, exactly. They were victims, betrayed by European promises, and we have spent untold hundreds, probably thousands or tens of thousands of hours and dollars trying to resurrect them in some small way from the nameless oblivion of history. Part of who we are is defined by who they were. We love our ancestors, all of them. Many of us feel an obligation to do what we can to right the wrongs done to our ancestors in any way possible, even if the only thing we can do is identify them, maybe recover their name or something about them to give them a voice, a definition, a tangible memory to record for posterity. It’s something, better than nothing, and it defines them as more than an almost anonymous disappearing footnote in history where the European’s put them and the Native tribes of today condemn them to stay. But never, never do we expect to find an Indian killer, and not only that, a no-excuses, non-penitent repeat offender….so desensitized to human death that he and his cronies sat by the bodies of those families, including women and children, systematically, genocidally murdered and ate breakfast, probably covered in their blood. In my family story, I know who the good guys are, and the bad guys. I know who to love and who to hate, who to root for and who were the oppressors. And I’m not descended from really “bad guys,” at least not Indian Killer type bad guys. I’ve got a few other colorful people, some slave owners, a couple bigamists, a wife-murderer and a moonshiner…but not people who systematically, unemotionally, slaughtered entire tribes of people. And in those tribes of people were Justin’s ancestors too. So now, what does Justin do with this? Who does he love and who does he hate? How does he come to terms with this, that he carries the genes and ancestry of both? Do they fight within him from time to time? Who is Justin? This entry was posted in Ethnicity, History, Native American and tagged Examples by Roberta Estes. Bookmark the permalink. The above always moves me to tears. Thank you for sharing this perspective. You expressed it beautifully. I have descended from both sides of the Muddy Creek Massacre of 1763, I wonder if my 1x great grandparents even knew of the history that had already connected their families, seven generations previous. I’ve often wondered about memory being stored within and being passed along with no one being conscious of it or its effects. Thank you for not perpetuating the fairy tale, but speaking up for reality and the need for recognition of the true circumstances, politically and culturally. Roberta – you expressed the conundrum very clearly. It’s something I’ve struggled with for years, It makes me wonder what else we’ve sugar coated in our history books and taught in school as fact? I’ve found a Treaty signed by President Buchanan between my husband’s family and the government deeding land to his heirs forever. I’ve tried unsucessfully to find out when the Treaty was broken and why. The Department of the Interior choses to ignore all my letters. Sadly, the unequality continues. I have ran the DNA gambit and found that we are Native American with a 10% quantum. I found my ancestor buried in Cherokee Documents along with some of his family. One of the more famous line of Cherokee blessed us by attending a mission trip into Guatemala. As we discussed our families she made an interesting comment. Your family were just too early in the Cherokee Nation. Those with our family name in the Cherokee Nation turn a deaf ear to our inquiries about how they made it in and refuse to share their linage. I am missing ten children of my ancestor and they might have a different name because of the Cherokee Heritage. Fourteen of his children fought for the Union in the Civil War and I cant find them. Yes, I have experienced the feelings you describe of discovery combined with rejection and mystery. I have learned to tell everyone, “I am comfortable in My Skin.” Part of my DNA has been in the USA for over 10,000 years and the other Anglo name (probable Bloodline) from early in the 1600’s. Still looking for the story. The good part is that I am discovering it. The best part is it brings a lot of joy to find it. As long as there are “powerful people” making the decisions the rest will suffer and pay. You would think by this time in human existance, we would all have the SAME rights to Life, Liberty, and the pursuit of Happiness. Thank you Roberta. Very touching subject. Have a great Thanksgiving. I love your pieces and Justin’s background is headspinning but many of us have bad in our past. Your slaveowners seem to have acquired almost acceptable status in this Indian-killer context. Thank You. I appreciated this. We are supposed to be part native american. Haven’t found it, but in my choromsome painting there are some small sections. Perhaps someday I will figure it out. This was a very respectful and reality post. Thank you. Very well written indeed! And also a good treatise on unintended consequences of digging into our past. Of course we all have good guys and bad guys in our ancestry, we have to. Some worse than others. Some known to everyone. Some whose deeds (good or bad) went unknown to everyone or are forgotten now. Some we now judge as “bad” who were at the time not thought so. Some are only “bad” now because we judge them by our present world-view and not the world that they lived in. It’s easy for us to look back and predict the consequences of their actions, that’s called history. They couldn’t predict as easily, that would have been telling the future. Though their blood and genes and cultural memory and such runs through us today – we are not them. We are us. We can look back and reflect on their deeds and actions, but we bear no responsibility for what they did and need feel no shame for their actions. Nor can we undo or repay what they did – it’s water now downstream. Some of my ancestors owned slaves – I never have. Some of my ancestors made moonshine (not very long ago) and I never have; well, that one time just to see how. Some of my ancestors (not very long ago) were flaming racists – I’m not, I hope. There are some bigamists and polygamists in my tree – I have to take their side on the decision at the time but we’d call them “bad” now. Some barely had any education at all, I picked a different route. The list can go on-and-on. I am not them, they are not me. We share some common genetic material and perhaps more than a little culture — that’s all. Then again, we share common genetic material and macroculture with everyone and I’m not responsible to their actions any more than they should be responsible for mine. I embrace my ancestry, ethnicity, and culture very deeply. I do not have to approve of or even defend the acts of my forebearers though – I’m not them. I can, instead, work to not make the mistakes they made. They made a lot! I always knew about my native ancestry, but never embraced it. Too far back as this is a great-great grandparent. I have pictures of her and it always seemed strange that me, a black woman could have someone in her family line completely non-black. Still, I’ve related to native people as someone descended from African people. Our struggle is so much the same. I could never watch a Western because I knew the portrayal was unfair and not entirely true. Never really celebrated Thanksgiving or Columbus day. My celebration on those days was more about enjoying family and friends then thinking of a fabricated story. Roberta, you created a powerful lament. I had no idea there was rejection and discrimination towards those of mixed Native American ancestry by the tribal members. Being reminded of the history between Native American and European ancestors is both troubling and sobering. Your essay should find its way into the hands of those leaders who could influence others. It certainly is thought provoking and could be a basis for dialog among those who are so prejudiced. Most of the tribal people I am descended from chose to accept titled land instead of moving to Oklahoma. The other half of this group did go to Oklahoma. I lived on the Navajo Reservation for 21 years and it was some of those ladies that told me looking at some of the family pictures that some of my ancestors were Native. I just want to connect those brick walls to their ancestors. I have found matches to registered tribal members in Oklahoma. The two lines are early trading families. One line is in Quebec and a French trading line. The other is North Carolina and a Scots trading line. I know exactly what you mean. Your cousin Ray has the same reaction. He has documented Indian heritage from his Austin family on his father’s side and documented Indian on his mother’s side. His grandmother played with Ira Hayes. None of that matters because he is to Americanized for any Indian tribe to claim him. They would just let you be an outsider that to call you a member of the tribe. He does not want the money from them. He just wants to know about his culture and the ways of his Native American family. So sad that you are allowed to know about your other half. Very moving. I am honored that you shared your insights and feelings. Every Thanksgiving, my high school music teacher Frank James used to lead a group to bury Plymouth Rock. I admired him, and even as a young teen I recognized the terrible wrong that had been done to the Native People. I met you at the Genealogical Conference on November 9 and 10. I belong to the Proctor-clan of those names. I am not a tribal-member, yet,…but on April 13, 2008 I received “recognition” as a bona fide Piscataway Indian by the chief of my tribe when he ceremoniously anointed me and my children with an eagle feather. He is now called Chief Billy Tayac, well-known leader of the Piscataway Indian Nation. I took photos of the event, and will one day send you a copy of them. I just read your article,…and I love it. I feel that I might have written it myself if I had the opportunity. I understand everything that you said, and agree absolutely with all of your statements. The only main difference between you and I is that I am a tri-racial mulatto-Indian (= mixed with a bit (1/8) of African blood as well as (2/8) white, European bloodlines, and (5/8) Indian…while you are apparently only white and Indian. My people are from southeast Maryland, and are well-known among historians, anthropologists and genealogists as “tri-racial isolates”, and/or as “Wesorts”. I am the group-administrator of the Wesorts-Piscataway surname group which is focused on the ten surnames of the British settlers of Maryland who had children with the Indian women when there were no white women living in Maryland. Those surnames were Butler, Harley, Gray, Mason, Newman, Proctor, Queen, Savoy, Swann, and Thompson. A Jesuit priest (Fr. 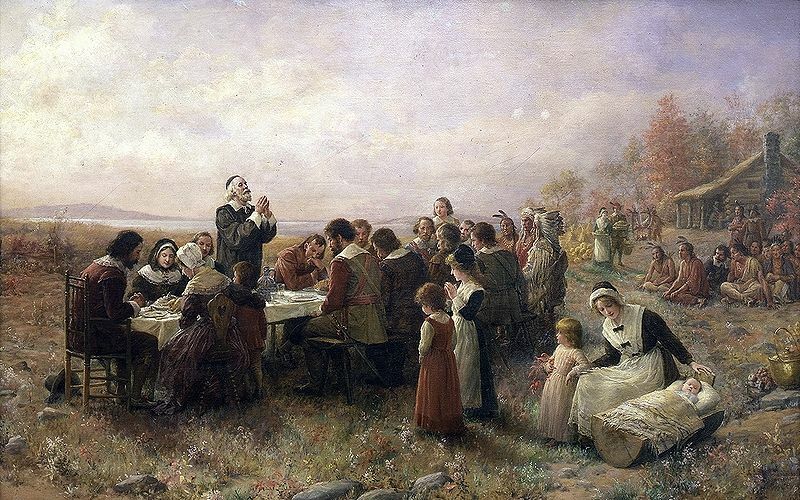 Andrew White) started what is known as the “Maryland Mission” to encourage those original settlers to marry those Indian women in the Catholic Church in order to legitimize their many offspring, and become stabilized, good christians. My passion and drive for this research project is based on the fact that I am the direct-descendant of one of those white men via my Indian paternal grandmother, Sarah Proctor. The Wesorts did not mix socially with whites due to the rules of segregation…and not with blacks by choice. They kept a separate society called “free people of color”. Wesorts,…however…did it to retain their middle status in American society, and to preserve their highly-prized, light-skinned coloring. We have been accused of being “fake-Indians”, etc. However, in January, 2012 our people received recognition as descendants of the original Piscataway Indians of Maryland. My MAIN PROBLEM right now is that I am so afraid that I will miss out on collecting the DNA of some of the very older people who live in the MD/DC area. A few of these elders, now in their 70s, 80s, and 90s are my blood relatives,…but they have never met me, and would probably be very skeptical of this project. Please suggest to me how I may go about organizing a team of FTDNA people to come with me to MD/DC to collect this very important data in the form of DNA. I would have to be instrumental in identifying the correct people for the study because there are many “Wesort-wannabees” in Maryland and Washington,DC who would cause chaos and confusion to the project, if they are not excluded in a diplomatic manner. I have enough insight and know-how to handle the problem in a positive, respectable way. Once, properly identified,…this collection of DNA would be of a great help to helping all of the genuine Wesort-Piscataway people figure out this terribly inter-twined and confusing maze of names, and first-cousin marriages, and church dispensations. The good news is that the Catholic Church kept records of our families’ baptisms, and because of that data were able to give absolute attestation to the the government, supporting us as people of Indian descent. May I please hear from you ASAP on this, as I am very anxious to help my people to figure out our ancestral lines. I’m really glad to hear from you and wish we had had more opportunity to visit at the conference. I have your card laying here and will e-mail you within a day or so. I need a bit of time to recover from several family days and catch up on e-mail. You have articulated beautifully everything I’ve been feeling lately. I am adopted and a month ago discovered through genetic testing that I am 10.4% Native American. Quite a shock to me since I’ve only been told I was simply Italian, German and Irish. I started reading Native American blogs and discovered that now dreaded word, ‘wannabe’. to such an incredible culture. time to help whatever community I find I belong to. paper trail they demand. I’ll just have to keep researching. Again, thank you for sharing your insights and feelings. That was intense. An intense story for an intense day. Thank you. Read your post yesterday, thought about it all day. I have thought on this particular subject my whole life, and you echo a lot of what I have thought. Here are some conclusions I have come to.You’ve got to keep in mind that these were the same people who shot all the passenger pigeons and most of the buffalo. Just because they could, not much of any other reason. I guess in their minds Indians were no different. They were Other. Being on the receiving end of that could make you a little flinchy. I read a few years ago that the man who wrote The Wizard of Oz wrote several essays on why committing genocide on the Indians was a great idea. Creepy stuff. But things like that explain why an awful lot of people kept their mixed origins on the down low. My family called themselves “Black Dutch”. I remember them saying it when I was a kid. I was puzzled because I knew their origins were not in Holland. We’ll see what the results are when my Gene 2.0 comes in, but I can tell you this: in the geographic region I am from it wouldn’t surprise me if 1 in 8 was mixed European, Native, and African. So down low they don’t know it. People of mixed ancestry outweighs 100% by a traincar load.In any ethnicity, I imagine. Now think of the tribal chiefs out there, who I figure we can presume are mostly men. You, as a female, are thinking of your origins in terms of relationships. They are not. They (emotionally) have not forgotten the horrors that were perpretrated on them. (I find that men are very emotional, in spite of their protestations about it.) They have not forgotten. They have not forgiven. They absolutely don’t want to, and don’t know how to, deal with the overwhelming flood of mixed race people who may have the blood but have no real idea of their culture. I know you’re saying that you want to learn, and if they had had the foresight to take that tack in the early 1900s, things might have been different. What we forget is there was still a tremendous amount of prejudice even then. For all I know, really, there may still be. My daughter, last year, married a full blood Native. His life, growing up, was one of rural poverty. Similar to the lives of my grandparents, the Black Dutch. There is absolutely nothing romantic about it. It’s not that bad, but romantic and noble it ain’t. Ordinary. And except for some odd ideas about owls and shapeshifters, he is a man of the 21st century. Though he got out of a traffic ticket once because they saw on his driver’s license he was Native American. There are many people out there now very taken with that. Mindblowing. Take a step back and think of this: maybe this is the Neanderthal scenario. I’m positive there are more–way more–mixed Native than pure in the world. We may be living the assimilation of a group. And more than likely, much blood is always shed at some point in the assimilation. My mantra is “Monkeys with car keys.” There is occasion to use that mantra every single day. We just want an acknowledgement that we are who we know we are, not the casino money of the we have ours now so we close the rolls crowd. My grandparents have always said we are part Creek, part Choctaw, depending on which family line. They had no reason to lie, but knew it was best to keep it in the family. I know my father as a boy back in 1930s got what we call in the family (for lack a better word) Creek docket money. Try finding the records for that so we can prove we are Creek. We have talked to others who have same story, supposedly it was for some kind of reparations. But we were not on the approved rolls & didn’t go to Oklahoma. We stayed put, hiding our ancestry so we don’t exist in the eyes of the officially sanctioned ones. I belong now to a small state approved band thank you. A nicer, kinder, more accepting group of folks you might never meet. They mostly have the same stories, we know from our family oral history who we are and as you say we keep the customs & pass on the stories, and someday like the Feds want there won’t be any more of the so called full blood ones. We don’t really celebrate Turkey Day either, although the Federally approved tribe up the road has a Thanksgiving Pow Wow to take more money from non-NA locals & tourists for eating food & watching dancing, they don’t get enough from their casino, I guess. Lord, slap my hands, I don’t mean to sound angry or bitter, its all just so sad. Aside from all that we have had our YDNA & MtDNA both tested & we are I suppose one can say tri-racial (is that an approved word nowadays?) We already knew it but now we can prove it. Lets all use the family get togethers this year to be sure to pass on to the young ones who they really are, a more important gift than they may not really know but will thank you for in the long term. Remember when we speak their names our ancestors never truly die. I reread the commentary. Very nice. I am not very far from my Native people. My great-grandfather continued his whole life to live with the Indians. His daughter (my grandmother) gave me for my first piece of jewelry a silver and turquoise ring. I have cousins from Indiana who participate in the Northern Hoop Pow Wows. To me there are two different mind sets. One that made the choice to be removed from the their land and those who did not. I think because of this there is animosity. Very few tribes have their much of their culture left. The Hopi are one of the few. I go to their dances whenever I can. Just the energy that comes from these activities helps to heal what was lost. I teach high school math and the majority of these students are native people. Just interacting helps with the understanding. Thank you for looking so deeply into truths, so eloquently said. The recoverable parts cannot give the whole of the picture, but there is still much left to be unearthed. I give thanks for those looking with cleared eyes. Sometimes I enjoy reading the comments almost as much as I enjoy reading the blog. Enough has been said complementing you, Roberta. I agree, this was well said and thought provoking. To Carson Turner, I agree with those who replied to yours also. What you said WAS profound. To all of us, I would ask a question. Are we so oblivious to the war-like nature of Native Americans that we can only sympathize what happened TO them and ignore the horrible acts committed BY them? Native American tribes lived by the code of “to the victor goes the spoils.” They needed no surveyed boundaries only because they slaughtered anyone who ventured into their territory. Tribes did not live in peace one with another. Their methods of torture were the stuff of legend and were well established long before white traders ventured onto their lands. Without question, the newcomers took their property from them by deception or force. The taking of one’s lands was common place in America before whites arrived. That does not justify what happened but let’s not ignore history as if it never took place. I wholeheartedly agree with Ron V’s comments. By and large, they apply to the history of the rest of the world as well and current events as well. Human conflicts have always been about real estate and resources. Religions and ideologies are used by charismatic leaders to motivate young people to fight for the acquisition of land and resources. It has always been thus. Great story expressing thoughts I have pondered since learning about the good, bad and ugly in my ancestry. I think anyone else who has objectively examined their WHOLE family tree (rather than selecting what feels good and ignoring the rest) has dealt with the same types of conflicts and confusion about who we really are. Fact is, we are all part of the mass of humanity that makes up our ancestry, but mostly we are products of the circumstances into which we are born and what life throws at us. And that is the scariest part of all. It was only until this posting, did I realize your interest in Native American DNA. I feel like I had my head in the ground like an Ostrich…. I just did not read/make the connection; regarding you interest or connection to Native American research…. I have been “catching-up” on your blogs over the last 2days … 🙂 I went to your blog link, and found it very interesting. And the links – to the Lumbee and/or Croatan/Croatoan Indians of SC, later Lumbee of Robeson County NC. -This I read over Thanksgiving and Friday. Before I even started – the pic/painting was very apparent…. – why are they depicted at being “over-there/away” from the assumed white group? -not a very communal gathering…. Today, I received an email/posting from “the legal genealogist” and replied with my thoughts regarding – doing the test or funding this test for further research of the Indian Tribes of SC and Canada. I have several matches to this group. Using Gedmatch there was confirmation of Native DNA. My group also moved into Ohio and Indiana. This would have been in the Trail of Tears time frame. My great-grandfather from this line and his father chose finish their lives in Arkansas. These are my Ross/McCullough lines. But I matched for Wolf also. They were part of the Old Cherokee Wolf clan. Two of the daughters used Wolf as a surname.